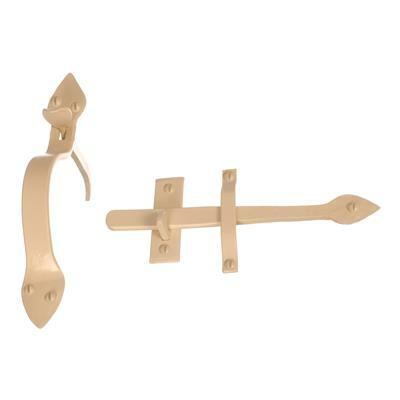 A hand forged door latch in a Plain Ivory finish. This unique look is designed to suit both contemporary and traditional properties. The sharp edges contrasted against a smooth curve offers a contemporary look. This accentuates a feeling of luxury that is not visually overwhelming but will complement any room in your home. The Plain Ivory finish can be paired with warm and cool colours to help brighten up your room, finishing it off with style and sophistication. Let this door pull grace your home ensuring a timeless elegance. A security pin can be ordered separately for the Norfolk Latch if required.